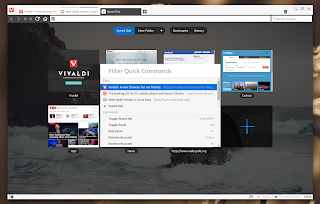 Vivaldi is a new web browser based on Chromium / Blink, especially created for users who "have problems fitting all their open tabs on one screen". 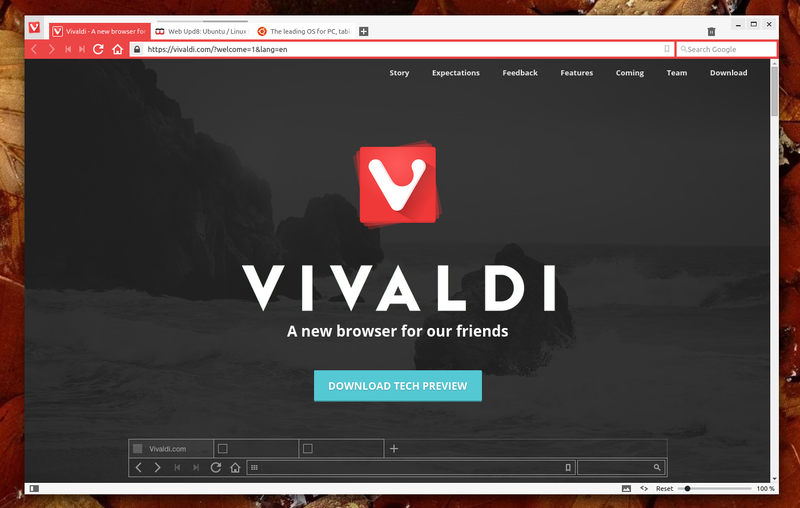 The browser is developed by Vivaldi Technologies, whose chief executive and founder is John von Tetzchner, former Opera CEO and co-founder. 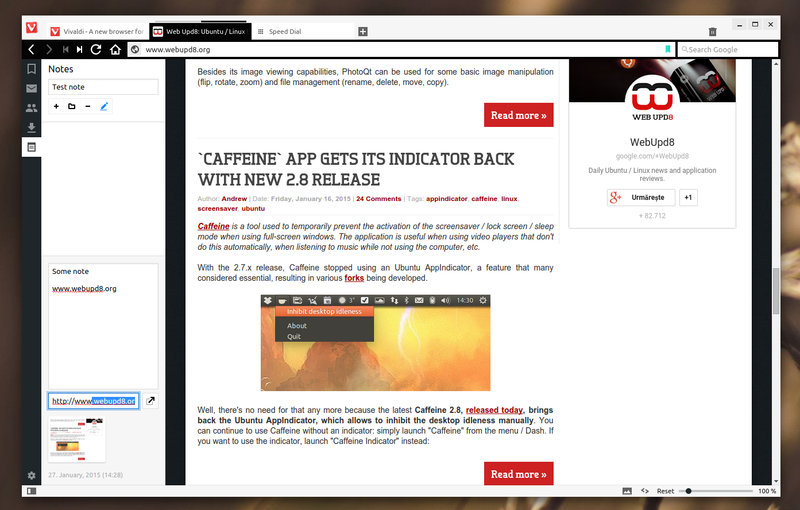 Vivaldi (which is built using open source technologies, but is not open source software) is currently available as a technical preview, for Linux - 64bit deb and rpm only for now, Windows and Mac and the current build is intended to show the direction of the product, so it's not complete for now. "It is not perfect, far from it. Some of the key features we integrate are yet to be implemented, optimization needs to be done. But we hope that you get a glimpse of our product and what you can expect from us". The new web browser, which is aimed at power users, includes tab stacks, Opera-like Speed Dial which supports multiple folders, as well as a note-taking feature which allows including a screenshot of the current page. Furthermore, Vivaldi features a tool called Quick Commands, that can be used to search through settings, history, open tabs, bookmarks and more with a single keyboard shortcut. 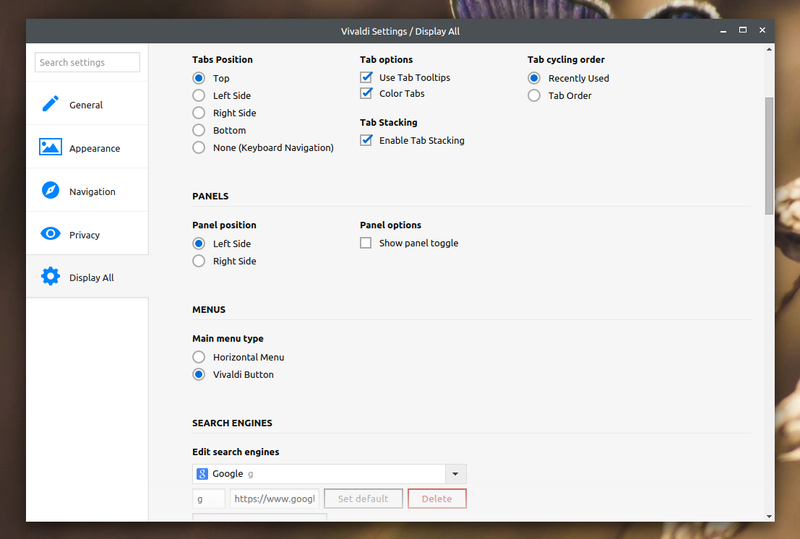 Vivaldi is also pretty customizable - for instance you can disable tab stacking, change the tab cycling order and place the tab bar at the top, left or right side or bottom and even disable it completely and rely on keyboard navigation only. 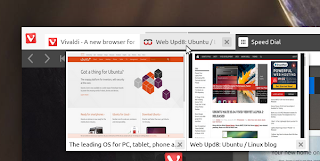 While the browser is pretty limited for now, it should include quite a few extra features in the future, like a built-in email client, notes/bookmarks/history/session sync, spatial navigation and of course, extensions support. Also, "a mobile phone and a table version are in the pipeline", said John von Tetzchner in a Reuters interview. 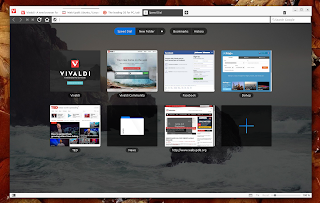 In my quick test, I must say that I was pretty impressed by Vivaldi or, to be more specific, by its built-in tab management features (why did Opera remove tab stacking again?). So I can't wait for its first stable release. 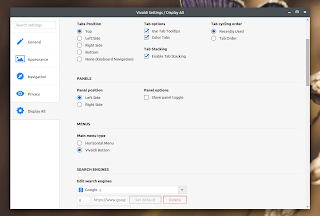 I should also mention that I tested Vivaldi in Ubuntu 14.10 (64bit) and the only issue I encountered was that context menus were not positioned correctly (the menus were sometimes displayed not only in the wrong location, but even on the wrong monitor). Note that for now, you'll have to update Vivaldi manually however, the deb includes some code which indicates that in the future, you'll be able to update Vivaldi via its own Debian/Ubuntu repository. 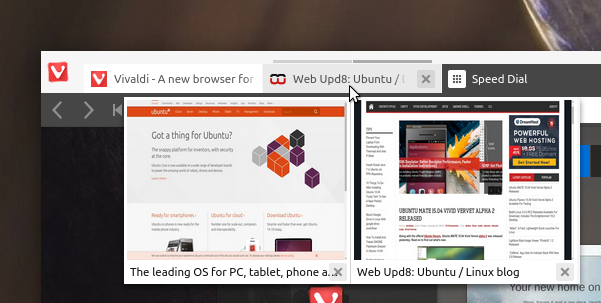 Arch Linux users can install Vivaldi via AUR. Update: if you encounter issues, report them HERE. Have you tried the new Vivaldi web browser? What do you think?